Anton Wallner, dean of the College of Arts & Sciences, has been elected to the Board of Trustees of the Academy of Science-St. Louis. Academy resources are entirely mission focused, on expanded scientific outreach, education, resource sharing, and the recognition of scientific accomplishment. Academy partners include every scientific sector—academic, public, corporate and private—from a broad range of science, medicine, engineering and technology concerns. Wallner, who was appointed dean of Webster's College of Arts & Sciences in 2017, joins a board made of distinguished and active leaders in the science community, who establish Academy policy, take action on committee recommendations and steward the organization’s initiatives and fund-raising efforts. 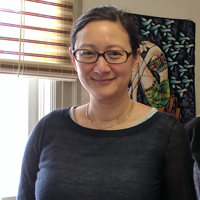 Elsa Fan, assistant professor of Anthropology and Human Rights in Webster's College of Arts & Sciences, co-organized and co-chaired the oral presentation session at national anthropology conference. The session, “Making up ‘MSM’: Re-mapping ‘key populations in global health,” took place at the 116th American Anthropological Association annual meeting in Washington, D.C., in late November and early December. Presentation topics in the session included "Making MSM count in the 'shadow of the shadow state': HIV interventions and NGO governance in Abidjan, Côte d’Ivoire"; and "The 'fake gay' and the 'greedy volunteer': The labor of LGBT-vulnerability in NGO worlds," among others. Guterman has two pieces in the book. 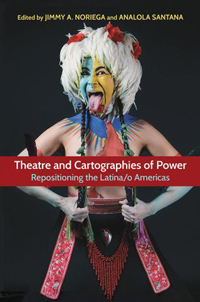 "Theatre and Cartographies of Power: Repositioning the Latina/o Americas," published by Southern Illinois University Press, includes two pieces by Gad Guterman, associate professor in the Conservatory of Theatre Arts in Webster's Leigh Gerdine College of Fine Arts. In a chapter titled “Remapping Bogotá,” Guterman investigates how a playwright working in the colonial era reimagines the history of conquest. Guterman is also the translator for “Contemporary and Andean Authorship,” an essay by Bolivian theatre artist Diego Aramburo. From the colonial period to independence and into the twenty-first century, Latin American culture has been mapped as a subordinate “other” to Europe and the United States. This collection reconsiders geographical space and power and the ways in which theatrical and performance histories have been constructed throughout the Americas. Essays bridge political, racial, gender, class, and national divides that have traditionally restricted and distorted our understanding of Latin American theatre and performance. Learn more about the book at SIU Press.